Dickinson & Baird Veterinary Hospital has been taking care of the needs of pets in the community since 2013 when we opened our modern, fully-equipped hospital on William Bell Drive in Hampton, New Brunswick. We offer a unique, client-orientated approach to providing the best service possible to you and your pet. The hospital houses new, progressive equipment, including digital radiography and in-house blood analysis. We accept equine referrals! Our hospital is designed to provide for a clean,climate controlled, and comfortable environment. Hospitalized horses are provided individual turnout in our large paddocks. 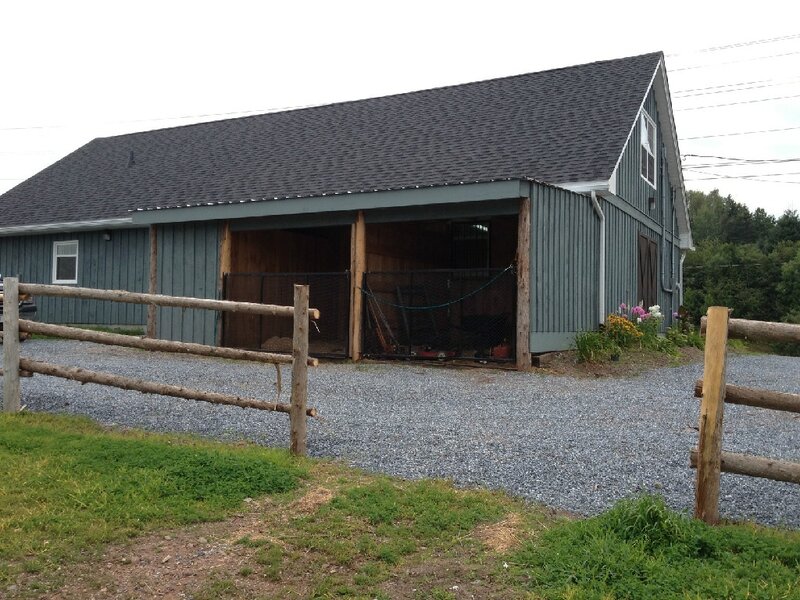 We also provide a reliable ambulatory service to meet the needs of your horse at the farm. We provide reliable, on-site after hours emergency services to our clients, so you are never left unattended with a sick or injured pet. Routine evening and Saturday appointments are also available.